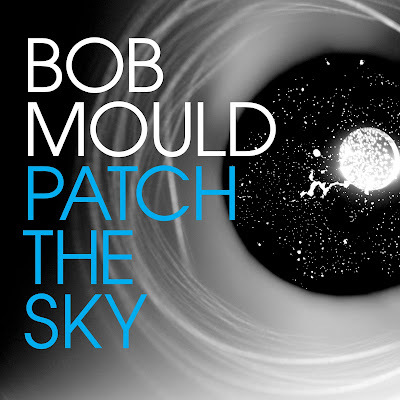 Pre-order Patch The Sky from iTunes, Amazon, and Bob's official store. "In addition, we will celebrate the career of Bob Mould with our very first zine! It features an introductory essay by Michael Azerrad plus personal stories, artwork, and photos submitted by Bob Mould fans from around the world. The zine also includes a CD of Bob’s 2014 full-band live session for Chicago radio station WXRT. Support your local record shop and pick up your free copy on April 16th." 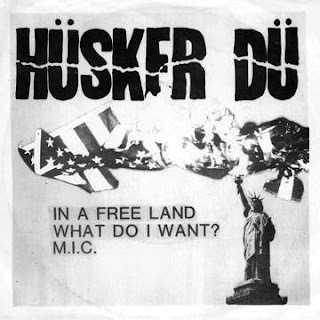 Meanwhile, Hüsker Dü's second single "In A Free Land," which was released in 1982 and has been LONG out of print, will be reissued as a limited edition 7" single on April 16th for Record Store Day. Like the original pressing, the single will be backed with "What Do I Want," and "M.I.C." Details on the release are posted here. Bob Mould launches his North American tour next month. Catch him if you can!